On November 1, 1849, Valentin Diaz, co-founder and one-time treasurer of the Katipunan, was born in Paoay, Ilocos Norte to Geronimo Diaz and Maria Villanueva. His family is said to have moved to Tayug, Pangasinan sometime in 1857. Nothing is known of the educational background of Diaz but it can be presumed that he had obtained some level of education because he became gobernadorcillo of his town, a position equivalent to that of the present-day municipal mayor. Moreover, he and his family must have been influential, for the Spanish authorities awarded such position only to members of important families. Exactly when and how he came to live in Tondo, Manila is also not known. However, he was among those listed as members of Dr. Jose Rizal's La Liga Filipina. Diaz was with other La Liga Filipina members Teodoro Plata, Ladislao Diwa, Jose Dizon, and Andres Bonifacio when the Katipunan was founded at the house of Deodato Arellano at No. 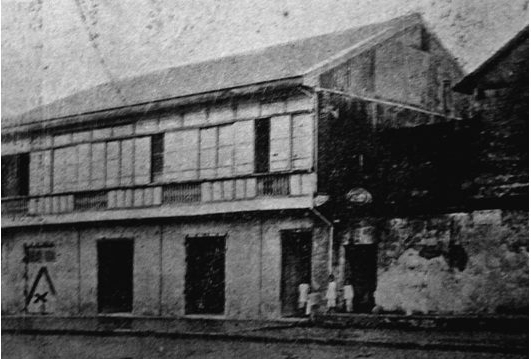 72 Azcarraga Street, Tondo on July 7, 1892, the day the banishment of Rizal was made public. Diaz was one of those who helped drew up the statutes of the secret society. When the first supreme council was established, he was elected as its treasurer. Before the outbreak of the 1896 Revolution, Diaz already held the rank of major in the revolutionary army. He figured himself in the negotiation of the surrender of Tarlac on July 10, 1898, a successful siege of the town by Francisco Makabulos. He was one of the signatories of the Pact of Biak-na-Bato which was promulgated on November 1, 1897. Later, he joined other revolutionaries who went in self-exile to Hong Kong in keeping with the conditions of the pact. During the Filipino-American War (1899-1902), he served as colonel in the Philippine Army. Diaz died in Manila in 1916 at the age of 67. Agoncillo, Teodoro A. The Revolt of the Masses, UP, Quezon City, 1956. Manuel, E. Arsenio Dictionary of Philippine Biography Volume II. Quezon City: Filipiniana Publications, 1970. Dictionary of the Philippine Biography Volume I. Quezon City: Filipiniana Publications, 1955. Medina, Isagani R. Unang talata tungkol sa Paghihimagsik (Revolucion) noong 1896- 97, sinulat ni Carlos Ronquillo y Valdez. Quezon City: UP Press, 1976.